In search of 2005 Guy Burwell from the Aladdin Theater in Portland. 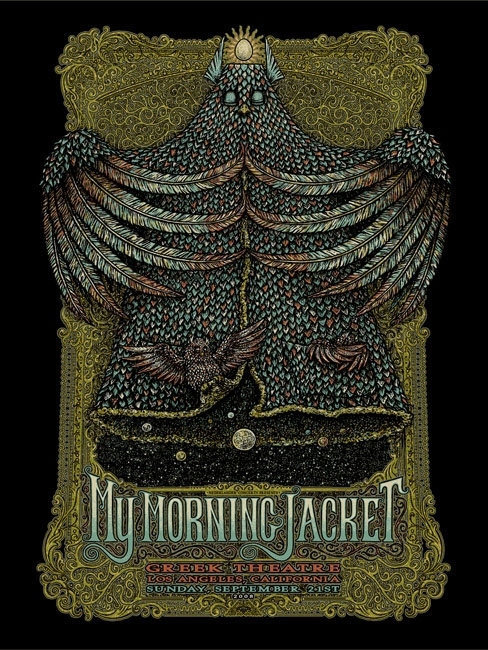 This was my first (non-festival) Jacket show, and I've been hunting this for a while. I understand the lot size and rarity so this may be a shot in the dark. Anyway... willing to trade or purchase if anyone can afford to get rid of one. Someone on Expresso Beans has one up for sale, cash only, $500. Yikes... I want it, but not $500 bad. That is unusually high, but this one doesn't come up much. Mine will be inherited by my children, along with all of my other Burwell MMJ prints (I have them all). A year later, I've changed my mind. I'll email you a picture. Make me an offer. Just saw this, I'll check my spam!